State wildlife officials and local botanists are sprouting smiles after the “Holy Grail” of plants was discovered this summer, a “jaw-dropping” find that puts to rest a decades-long search in Massachusetts. 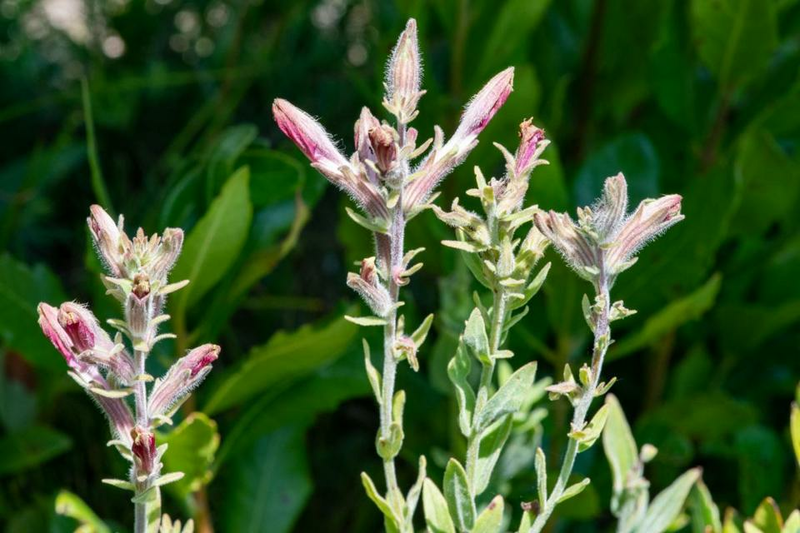 According to the Massachusetts Division of Fisheries and Wildlife, in July, Rhode Island botanist Doug McGrady located an abundance of the plant “American chaffseed” growing on a relatively small patch of land on Cape Cod. The discovery is particularly exciting because American chaffseed has been listed as a federally endangered species since 1992 — and it hasn’t been seen in Massachusetts in more than five decades, officials said. After McGrady found the plant, MassWildlife staff visited the site to further confirm that it was, indeed, American chaffseed. While there, they counted over 2,600 stems, officials said. The plant is currently listed as growing in New Jersey, North Carolina, South Carolina, Georgia, Florida, Alabama, and Louisiana, according to the US Fish and Wildlife Service. With its presence established in Massachusetts, it will be listed as “endangered” on the state Endangered Species Act list, MassWildlife said. In a video posted on MassWildlife’s Facebook page this week, State Botanist Bob Wernerehl can be seen crouching down in front of a patch of American chaffseed, as he explains the significance of the plant. In a telephone interview Friday, Wernerehl said the news has been “very, very exciting for all East Coast botanists,” with comments coming in from people in South Carolina to New York.